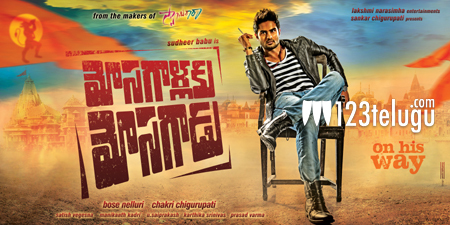 Sudheer Babu’s upcoming crime comedy, ‘Mosagallaku Mosagadu’, in the direction of AN Bose, has completed its shoot and the post-production works are progressing at a jet speed. The first look teaser of the movie was released recently and has created quite a buzz. According to the latest update, audio of the film will be launched on the 26th of this month. Touted to be on the lines of the super hit film ‘Swamy Ra Ra’, this movie also features Manchu Manoj in a guest role. Debutant Nandini has been paired with Sudheer. The film will be released this summer. Sudheer Babu is also coming up with his romantic drama ‘Krishnamma Kalipindi Iddarini’ starring Nanditha.